Because I'm still operating in daily scarf mode (and plan on being in this mode for a while), my daily earring of choice is studs, both to prevent snags on said scarves and also because Violet can't resist pawing at my ears when I wear dangling earrings. 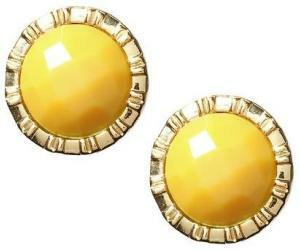 But studs need not be boring! 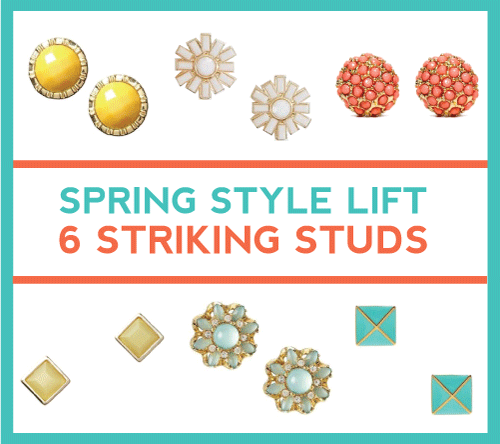 For installment #2 of my spring style series (see #1 here), here are 6 striking studs that are practical (when worn with scarves and alongside toddlers...) but full of pop for every day. 1. 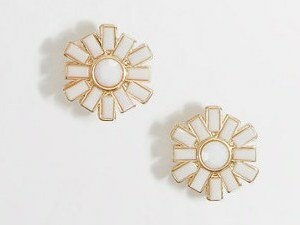 These gumdrop studs ($29.50) from Banana Republic? I kind of want one in every color (shown: pale gold; also available in autumn sun, ivory, and Riviera teal). 2. 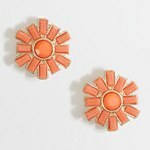 These elegant yet playful pinwheel studs (currently on sale for $10) from J. Crew Factory come in white (shown below) and coral (shown at top). 3. 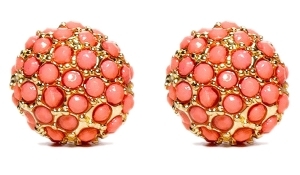 The humble seed bead makes a splash via these bead encrusted dome studs ($19.90) from The Limited. 4. 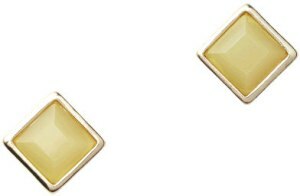 Minimalists can get their color pop via these square cabochon earrings ($24.50) from LOFT. 5. Craving floral? 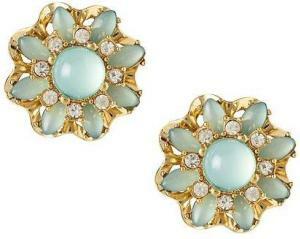 These pretty blue pop stone studs ($39.50) from Banana Republic will suit vintage tastes. 6. 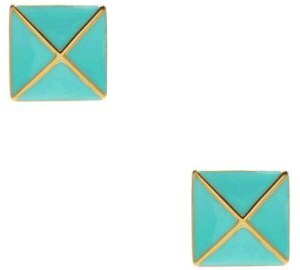 These mint locked in studs ($48; also available in flo pink) from Kate Spade offer modern edge.